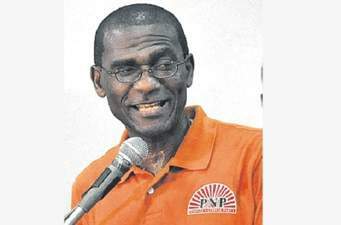 FAMILY members have been left “devastated” by the brutal killing of People’s National Party (PNP) Member of Parliament Dr Lynvale Bloomfield, the second resident murdered in Portland since the start of the year. “We are devastated. No one, no family, no friend would have anticipated this [loss] to development, especially for someone whom we all knew to be a gentle soul. His focus was on trying to do well for people in all areas at all levels. For this to have happened to him, to our loved one is extremely difficult to reconcile,” Bloomfield’s brother Evatt told the Jamaica Observer North & East in a telephone interview, yesterday. “We can only trust that the good work that we accept and recognise being done by the police at this point bears fruit and the perpetrator pays the price that they should,” he added. Bloomfield’s body was found with multiple stab wounds Saturday, shortly after 10:00 am, on the floor of his Passley Gardens home in east Portland, the constituency he represented in the Lower House. He was a second-term MP. “He was someone who supported so many — financially, physically, emotionally, [and] psychologically. He chose politics because he thought he could contribute to changing the landscape and worked hard at it. He was never vocal about what he did. He just went about it in his own quiet unassuming way to contribute in a positive way to this good country and to the people. “He was never one to seek anything for himself, that I can state categorically. It was always how much and what he could do to add to other people’s growth and development—the students he schooled, the old lady who needed groceries, that family that needed assistance with utilities. There were many who went to see him at his medical practice who know that they didn’t have to worry about their ability to pay because doc would take care of them. Those sentiments echoed by so many over the many years… It’s a tough one but he lived a good life for the few years he had with us and he will forever be loved and long remembered,” the elder brother said. Residents woke to the devastating news and crime scene officers combing the premises for clues. Preliminary reports are that the door and grille to the two-storey house were left open by the perpetrator, who reportedly tortured the medical doctor before escaping. Bloomfield’s body was discovered by his housekeeper. It is believed that he struggled with his attacker. Scores of residents and party supporters gathered metres away from the house enquiring of others the possible motive behind Bloomfield’s killing. Close friend and Councillor Dextor Rowland was alarmed by the news. “I am in utter shock; this is heartbreaking. Doctor was a man for all people and does not deserve this type of death. This is a hard blow; I am confused. He wasn’t an aggressive person; he was calm and treated all persons as humans. If you say anything bad about him he will just smile and walk away. This is very shocking, really shocking and unexpected. I spoke to him yesterday (Friday) morning and we should have met later in the evening but we didn’t meet,” he said. PNP General Secretary Julian Robinson, who was also at the scene, offered support to family members and friends. “We did not anticipate this type of news this morning. He has been in this parish for nearly 40 years as a medical doctor. He was soft spoken, very calm, mild-mannered, and not known to have any enemies so it was a great shock to us when we heard of this. “We are urging the police to leave no stone unturned in their investigation of this murder. When I heard I didn’t believe and I called four or five persons to confirm if this is so. It is so shocking as we did not expect this to happen to someone of the nature of Lynvale. “We offer our condolences to his family. As a political party we will do what we can to support his family and those of our comrades who are grieving at this time,” said Robinson. Jamaica Labour Party caretaker candidate for Portland Eastern Ann-Marie Vaz lamented the killing of Bloomfield. “I encourage residents of the constituency to cooperate with the police as best as possible during the investigations. Lynvale was always a gentleman and very respectful to me. We had that type of relationship. The news completely bowled me over and I am mourning with his immediate and extended family. Despite our political preferences, we were always very courteous towards each other. Please afford the family the respect of mourning peacefully and privately in this difficult time of his untimely passing. [It] is difficult for many to accept,” said Vaz. The police have offered no further details about the murder, stating that “strict orders” have been given not to speak openly about the investigation.